THINGS to do in Phoenix Today (& This Weekend) FUN FUN FUN!!! These are the local spots, not the chains. These are the undiscovered, the hidden, the fabulous, and the yet to be discovered things to do in Phoenix this weekend or today. If you have suggestions of your favorite places, please drop us a line. (Thanks for all your emails!) 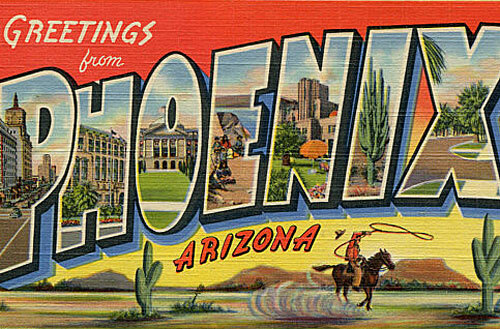 So, enjoy checking out what 3,000,000 locals love to do in Phoenix. STEP RIGHT UP and get ready to Laugh, Have Fun, and Celebrate a magical night out with Carnival of Illusion! This top-rated attraction is "Revitalizing Magic" by blending their international travel theme with all the charms of a Vaudeville-inspired roadshow. Join the thousands of guests who celebrated with magical Birthdays, Anniversaries, Date Nights, Holidays, and Group and Corporate Events. This is a Must-See for tourists and armchair travelers alike. More than a Great Magic Show, it's Magic, Mystery, and OOOH La La! Due to the popularity and intimate nature of this boutique theater, all shows SELL OUT in advance. So, book your seats early. 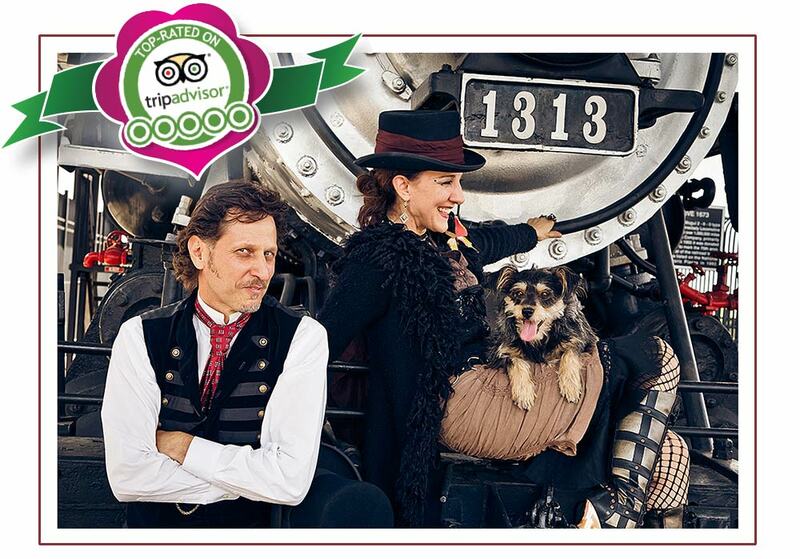 Check show dates and ticket availability for this Magical Theater Show in Phoenix. If you’re looking for a relaxing day in Phoenix, head to the Japanese Friendship Garden of Phoenix. Enjoy nature and relieve day-to-day stress as you walk through the three and a half acre garden. As you explore the sculptured landscape, you’ll come across an amazing half acre Koi pond. Be sure to stop by the Japanese Tea House for afternoon tea and beautiful surroundings. With many diverse things to do in Phoenix, you’ll enjoy the Musical Instrument Museum as a fun and educational indoor attraction. Not only will you have the chance to catch a live musical performance but have an educational experience as you tour the large museum. You’ll see an array of international instruments as well as instrument construction and sociology. 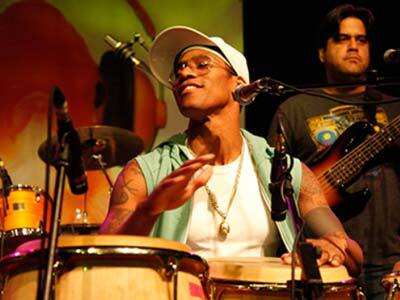 It’s a great place to learn how others around the world experience and share their music. Whether you’re a coffee lover or not, you have to check out Fiddler’s Dream Coffeehouse. The small venue is a local favorite for its musical environment and fully acoustic atmosphere. You’ll love the great music options, coffee, and tasty food. Fiddler's is much more than a coffeehouse but a fun community. 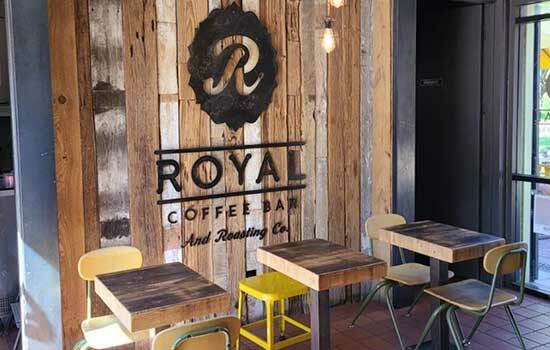 Royal Coffee Bar isn’t just well known for its excellent coffee, but it’s delicious food too. The fresh roasted and handmade coffees are the perfect compliment to the excellent menu options. Plus, the coffeehouse is located in a beautiful old building, allowing you to savor Phoenix’s rich architectural history as well as the aroma. Not your average coffee shop, Luxe is great for pastries and also is host to breakfast, lunch, dinner, beer, and cocktails! 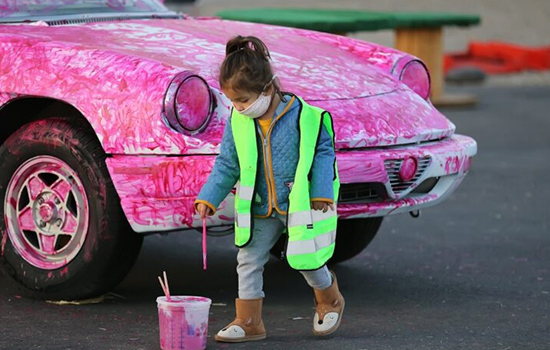 Known for being a bit of a hipster hangout, this popular spot attracts all ages and can be fun for people watching. There are several rooms and a patio, each with a slightly different vibe, so whether you just need to do a bit of online surfing, or you and your gang are there for a meal and some friendly banter, this central coffee shop is always buzzing. The Desert Botanicals Gardens brings the beauty of the desert to you. With a number of amazing exhibitions to preserve and protect the desert’s beauty, you’ll come to view the desert in a new light (and hopefully NOT a prickly one.) The garden is a great place to relax and reconnect with nature. 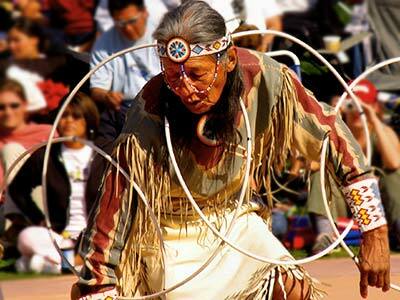 While you’re there, you’ll also see local shows and performances with a beautiful desert backdrop. The Heard Museum is the big museum to learn about American Indian Arts in Phoenix. Established in 1929, the museum is home to a diverse collection of exhibitions and traveling events for an interesting few hours or even an entire day. You’ll also enjoy the museum’s festivals and excellent learning opportunities. The Phoenix Art Museum is more than just a museum. It’s also home to great entertainment, the Art Museum Café, and a beautiful gift shop. 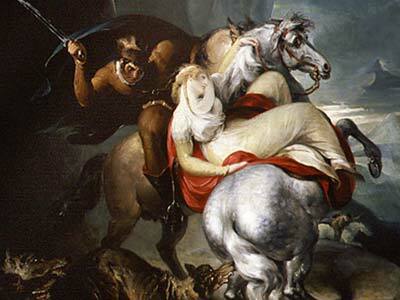 Yet the Phoenix Art Museum is best known for their modern art collection from international masters. You’ll tour exhibitions from around the world and the best art and culture Phoenix has to offer. Do you have a bit of Irish in you? Find your family roots with genealogy research. Or visit on the first Friday of each month for their First Friday event featuring a new Irish artist each month, as well as music and community. 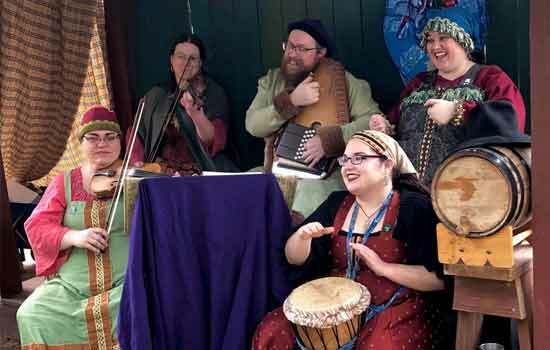 This cultural center also offers a large variety of music classes focusing on Celtic music and themes, as well as language, dance and drama classes. 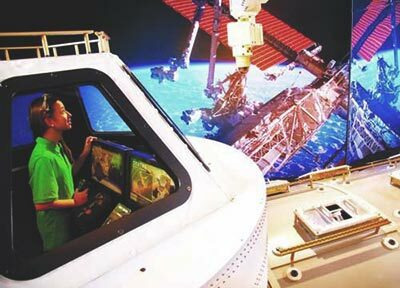 If you’re looking for things to do in Phoenix with kids, head to the Children’s Museum of Phoenix for an educational day touring interactive exhibits. With an emphasis on childhood education, the museum is an exciting place for children to learn through play for school readiness and turn learning into fun at the Children’s Museum of Phoenix. The Arizona Science Center is a fun place to spend the day with the entire family as there are a number of fun attractions in addition to the abundance of exhibits. Tour the exhibits, then head to the planetarium or catch a movie at the IMAX theater. Afterward, grab a bite to eat or check out their full calendar of events for even more fun family things to do. This award winning complex has everything an art lover could want. There are four venues for a variety of performances, as well as five art galleries. And if you want to further your art education, there are plenty of workshops and classes you can take. To top it off there are special events and shows galore! This is a one-stop-shop for the arts in Mesa and is only a hop skip and a jump from the central Phoenix area. Tempe is a charming place and its arts center has tons of charisma to go along with it. Situated in a picturesque location on the Tempe Town Lake, you will find free parking and a variety of shows and events throughout the year. Local artists and arts groups such as the Tempe Symphony Orchestra are highlighted, along with an open mic night for those budding performers. 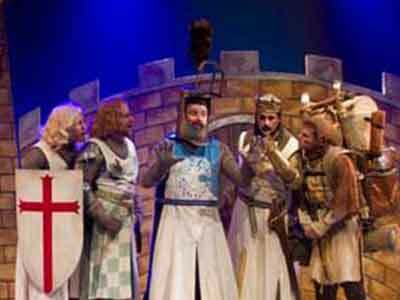 This professional theatre company has been bringing top-notch theatre to Arizona for over 50 years now. With two cities (Tucson and Phoenix), and a full season of classics, musicals, and new works, you will be sure to be treated to some outstanding theatre. Many of the performers and directors have been seen in film, television and on Broadway. Like the Arizona Theatre Company, Arizona Opera offers up a full season of opera in two cities, both Tucson and Phoenix. 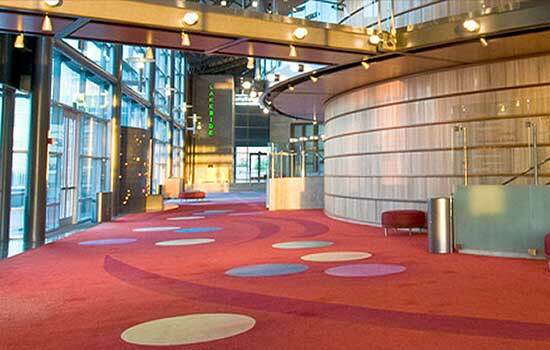 There are three to five productions per year, with shows at the Phoenix Symphony Hall and the Tucson Convention Center Music Hall. Arizona Opera incorporates both local and international talent. Join them for a once a month free lunch recital or come early for a pre-show lecture. This wonderful theatre is devoted to all things puppets and is for both children and adults alike. Housed in a lovingly restored old church, the venue includes a birthday party room, gift shop, and puppet library. Shows for children occur mostly in the mornings and afternoons, with adult shows on Friday and Saturday nights. With over 60 shows in the repertoire and all types of puppets, there is always something fresh for the kids to see and kids under 2 are free with the purchase of another child ticket. One of Phoenix's longest running theatre companies, the Phoenix Theatre started in the 1920s as the Phoenix Players and continues today to bring large and small-scale productions to the stage. Amongst the familiar titles like Little Shop of Horrors and Mamma Mia!, is a new works festival that brings fresh, talented writing to the stage. Their community outreach includes a program that brings theatre to sick kids in hospitals for some much-needed entertainment. Yes, there is Shakespeare and more Shakespeare, but add to that other classic works and various historically and culturally important venues, and you have inspired theatre. There is even Shakespeare carefully recrafted and shortened for young audiences, so they can start early in learning to enjoy the rich language and literature of the classics. Get a taste of the Wild West at the Ponderosa Livery & Boarding Stables. 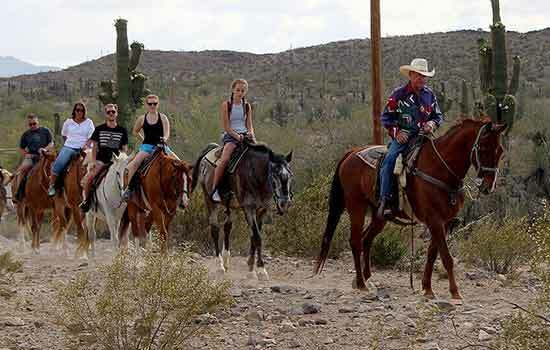 You’ll connect with nature as you tour the desert by horseback and even prove it to your friends if you dare not to bathe. With more than 50 miles of trails to explore, your guided tour will show you everything there is to see in the desert on horseback. Saddle up and have fun pardner! Enchanted Island Amusement Park is a popular family attraction, which is home to the famous Encanto Carousel. Whether you’re enjoying the historic Carousel or cooling off in the splash zone, you’ll have a fun day at the amusement park. While you’re there, don’t forget to check out the lagoon and arcade and bring your sunscreen! Everyone has to explore a castle once in their life and Tovrea Castle is the easiest way to do it without buying a plane ticket. Not only will you explore the castle, but find adventure in the Carraro Cactus Garden. With the castle sitting at the top of the hill, you’ll have unobstructed views of the 44 acres of beautiful desert landscape. 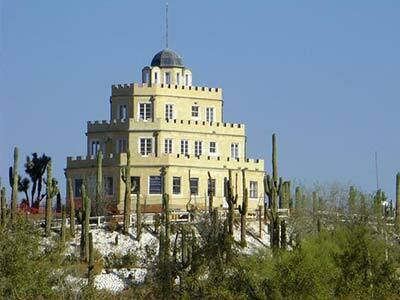 You’ll enjoy the beauty of the desert as you literally walk through history upon the hill at Tovrea Castle. Warning: Touring the property with armor is not recommended. A fun thing to do in Phoenix for families is Castles-n-Coasters. Your family will have an exciting day riding the coasters and playing miniature (or putt putt) golf. It’s a great place for people of all ages as there are small, medium and large coasters, as well as four cool miniature golf courses. 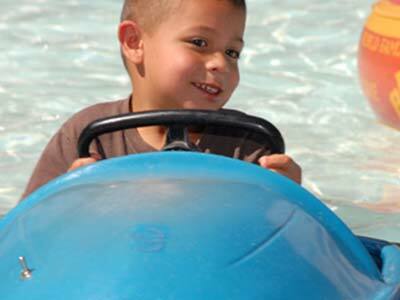 Add to that bumper boats, go karts and a tri-level arcade and everyone from the youngest to the oldest will have a great time. Visit their website for holiday and other specials on admissions, arcade cards and passes for unlimited rides. 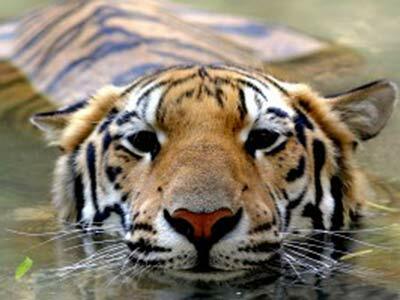 To see exotic animals from around the world, head to the Wildlife World Zoo, Aquarium and Safari Park. The title says it all. 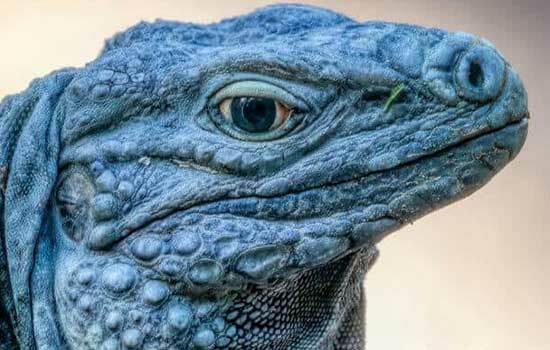 Here, you’ll find Arizona’s largest collection of exotic animals-- from large birds to wild cats. Unlike most zoos, this zoo offers an open natural environment so don't style your hair with albino alligator bait! The safari park recently expanded with three new rhinos, baboons, hyenas, and many more fun and exotic creatures. To add to the fun are a bunch of rides including an African Safari train, a log flume ride and a skyride that gives you that bird's eye view of the park. If you love vintage clothing, you have to check out Frances Vintage. Not only will you find vintage clothing for all ages, but vintage novelty art, jewelry, and amazing styles. This one-of-a-kind store to find those special boots and cute little jacket. Named after her grandmother, Georganne Bryant and her boutique have won numerous awards, and continue to strive to enrich the community. Georganne also started Crafeteria, a once a year marketplace experience that showcases the work of local artisans and crafters. Desert Sky Mall is a bilingual shopping center, featuring retailers and entertainment geared to the Spanish speaking community. 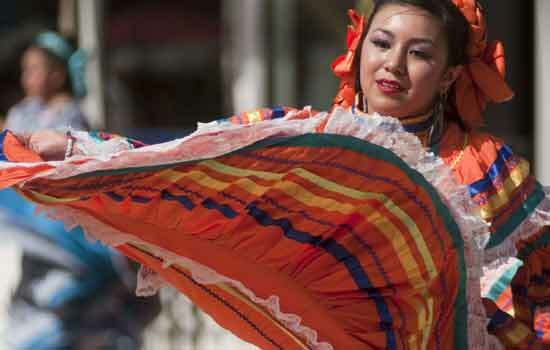 You’ll find shopping and many family fun activities, including a soft play area for kids, as well as an indoor swap meet and food court geared toward Mexican cuisine. And if you wish to see a Spanish speaking movie, Cinema Latino is also on property. Phoenix is home to great weather year round, which you’ll enjoy as you shop the outdoor market of Kierland Commons. If you shop till you drop as they say, then refuel at some great restaurants on property. To cool off on those hot summer days, stop for some ice cream and relax by the water fountains. At night, the streets come alive with bar scenes and live entertainment so you can cover that ice cream with a splash of Kahlua or Baileys! If you love shopping in luxury, Biltmore Fashion Park is the place for high-end stores as well as local non-chain retailers. 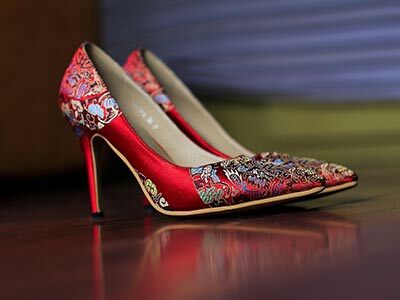 As you walk the lush lawns and shaded walkways, you’ll have a fun shopping experience as you try on the latest trends. You can even make a full day of it by getting lunch at one of the fine restaurants or visiting their neighbor the Arizona Biltmore Resort. This is the true bargain basement for Nordstrom and Nordstrom Rack. This is the one and only location in the US, and if you love a bargain then this would be a great place to stop in for a look around. This is typical Nordstrom merchandise, shoes, clothes, etc., but is all the stuff that didn't sell or was returned. Be prepared for other hunters on the lookout for that amazing deal. 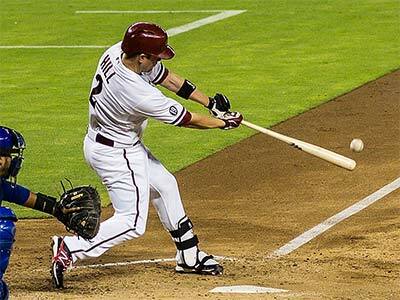 One of the biggest attractions in Phoenix is Chase Field, home to the Arizona Diamondbacks. Whether you’re a diehard baseball fan or just want to spend a day with the family, Chase Field has some ideas for you... Watch a game, tour the stadium, or get a bite to eat. There’s also a swimming pool for those summer nights when it's too hot to watch the game. The newly renamed stadium has a retractable roof over the field. That's right, just in case it snows in Phoenix, they can close the roof! This stadium is well known for hosting many top sporting events and even a Super Bowl. 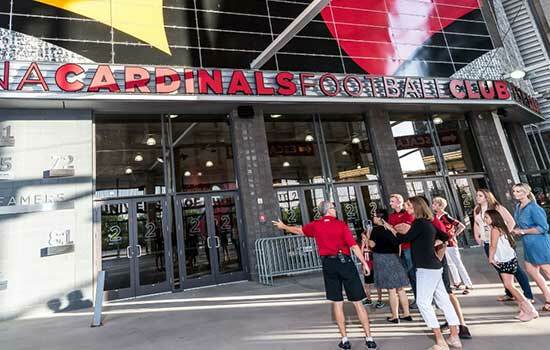 Sports fan will love checking out the different games and events at the stadium or catch a tour to learn more about the stadium. Wrigley isn’t just a piece of gum, it’s also a mansion where they used to live and entertain the rich and famous. In fact, they sold so much gum they built mansions all over the country. This landmark Phoenix over-the-top "house" hosts many social and special events and offers fine dining for a romantic evening and a great view. And if that floats your boat, Wrigley Mansion is a private club with a minimal annual entrance fee. 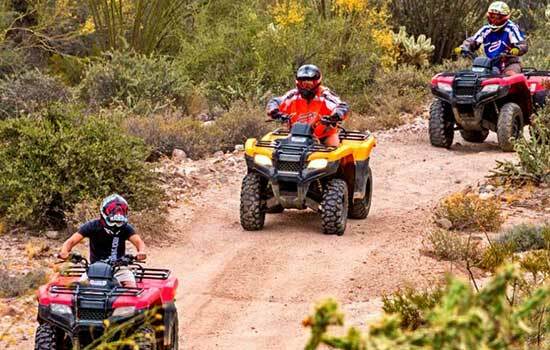 Arizona Outdoor Fun provides many F.U.N. things to do in Phoenix. There is an abundance of outdoor activities and tours to take you through the desert. They have a huge fleet of ATVs and UTVs that you get to drive while having a guide lead the way. See the desert up close and personal, and learn about Arizona history and wildlife along the way. Check out their list of activities and cross off some of those bucket list categories of yours. 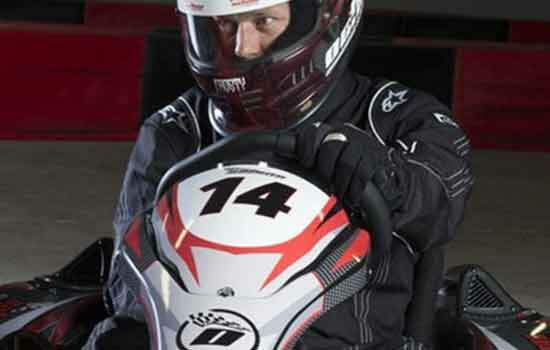 If you have a need for speed, head to Octane Raceway. The raceway is the place to add a little thrill into your day with go-karts, rock climbing, racing, and so much more. The indoor facility is the perfect place to spend the day with the family, especially during the hot summers and scare the heck out of your mother with all that speeeed! 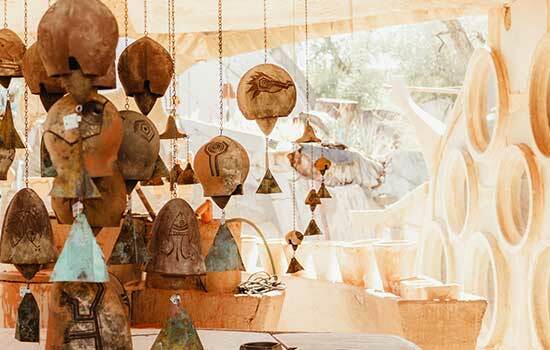 Arcosanti is a 40-year project featuring ecological urban desert living. The forward-thinking urban laboratory focuses on water conservation, renewable resources, architecture, environmental crisis, and other desert living topics. You’ll find many educational programs, classes, and workshops as well as some cool and trippy architecture. Well, that's a huge list of many Things to Do in Phoenix today but if you also want to check out even more things to do in Phoenix, visit our list of Fun Things to Do in Phoenix. Be sure to come back soon as our list is constantly updated. 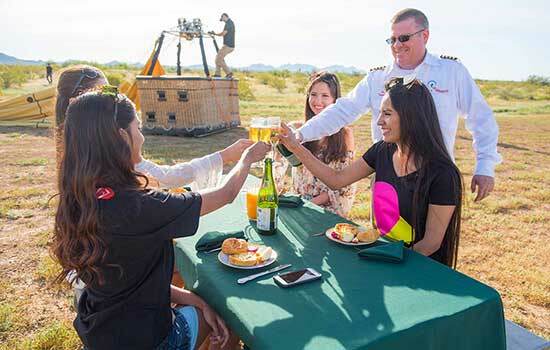 Whether it's nightlife, theater, outdoors, or the arts, we want you to have the list of the fun things to do in Phoenix. Thanks for visiting!